This book was nothing like I expected it to be. (Honestly, I’m not totally certain what I expected after Divergent and Insurgent, but I’m sure it wasn’t this.) That being said, I truly enjoyed the book, and, even though things didn’t happen like I anticipated–or even wanted–I felt it was a fitting, disturbing, and thought-provoking end to a series that captivated me from the first page. 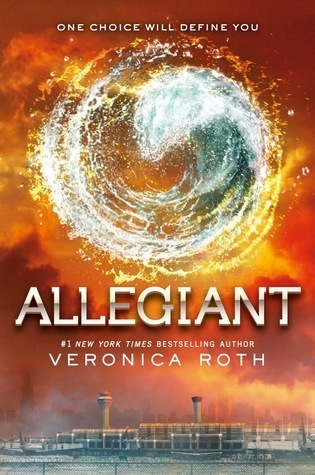 So…love or hate the final installment, Roth’s Divergent series is over. At least until the Divergent movie comes out on March 21st. If you’re anything like me, what happens in Allegiant may just color how you view this movie. This entry was posted in books and tagged dystopia, resistance to government, young adult.